Clear Span Structures believes that quality, completion dates and costs can be firmly controlled by assigning total responsibility for all of these factors to one single entity: the Design-Builder. As your Design-Builder, Clear Span Structures combines strong construction management ability with experience in balancing good design with outstanding value. Design-Build is a one-stop-shopping alternative that is ideal from your standpoint. You interact exclusively with a single, responsible entity, have freedom in selecting an architectural design, and are assured of quality commensurate with your intentions. 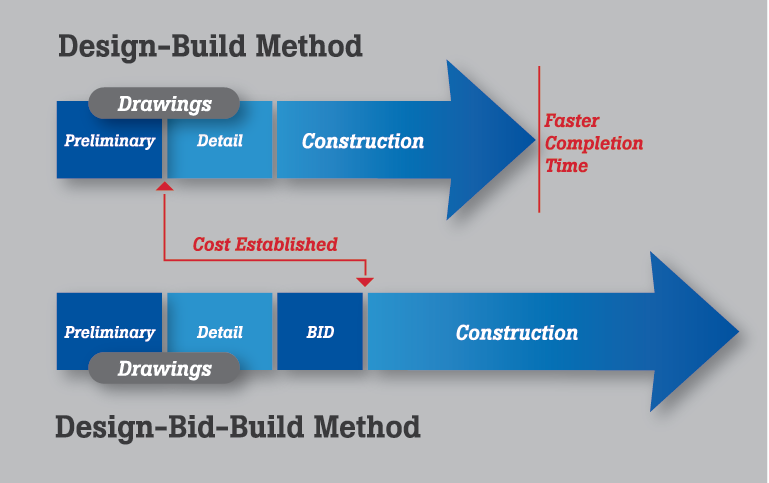 With the Design-Build method, you enjoy the comfort of cost control and schedule guarantees.